in the current climate being flexible is vital. That is just what we offer. We don't tie you into full service contracts, unless that's what you want. You can have the design team you need for as much or as little of the project as required. This means you get value for money and a bespoke service that meets the requirements of your business or project. It's as if you have your own "in house" design team when you need it, but when you don't it can be turned off. Meaning your costs would be significantly less that having a salaried design team. Suitability of proposed site & Layout options. Type of housing that will be saleable in the area. Local Planning Authority risk identified vs Social Housing contribution. LPA & Local Authority Housing departments. Using Autodesk AutoCad & Revit. House type / flatted development / mixed use design. Planning level, Building regulation level, Construction level & Technical detailing drawings. Planning applications & Planning conditions approval applications & liaison with LPA’s. Full Plans Building control (With LABC or Approved Inspectors). Thames Water build over agreements. Form and issue Party Wall notices. Act as Building Owner's surveyor, Adjoining Owner's Surveyor or Joint Surveyor. Form, agree & serve Party Wall Awards. Building Control (to facilitate completion certificates). Site Setting Out – Civil engineering & groundwork. Principal Designer Role & assistance to Principal Contractor. Formation of Pre-Construction Information Pack (PCIP). Assist PC in forming Construction Phase Health & Safety Plan (CPHSP). Carry out onsite saftey inspections. Finalise the Health & Safety File on completion, including “As-Built” information. Form Operation & Maintenance manuals. Perform valuations & quality control assessments. 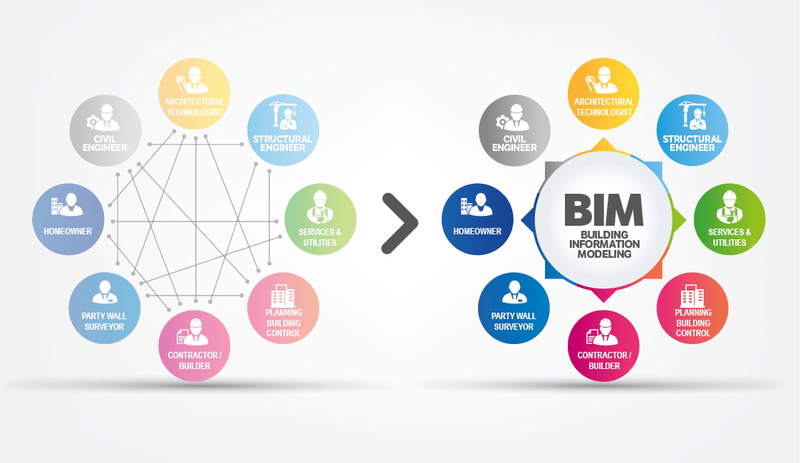 BIM changes the Traditional 2D design process (plans, elevations, sections, etc.) to a 3D modeling process. • life cycle facility management costs. During the 1990's we all struggled with making the final move from drawings boards to CAD. 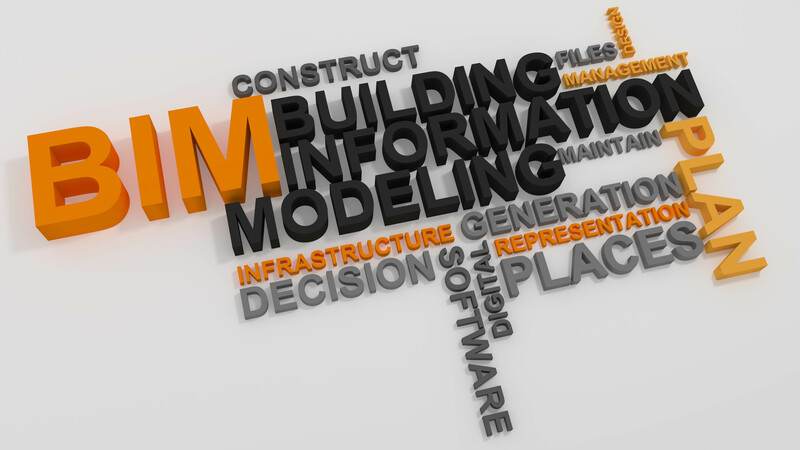 This change to BIM is just as difficult, maybe more so. We have invested the time and costs to keep up to date and current with BIM and the software required to take advantage of BIM. We can take on parts of the design for you, or even the whole BIM side of the project. Under CDM 2015 what are my responsibilities? Domestic clients are those having work carried out which is not connected with running a business. Usually, this means arranging for work to be carried out on the property where you or a family member lives. The client ensures that the construction project is set up so that it is carried out from start to finish in a way that adequately controls the risks to the health and safety of those who may be affected. • prepare the health and safety file. The principal contractor is responsible for managing health and safety on the construction site. He must draw up a plan which describes how health and safety will be managed during the construction phase. Pre-construction information and any client requirements will help in drawing up the Construction Phase Plan. • regularly reviewed and added to as new trades start. but is doesn't need to be difficult. We have become familiar with the changes to the HSE legislation in the CDM 2015 amendment and have been trained in the role of Principal Designer. We can also offer help and guidance to the other "duty holders" so that they can fulfill their responsibilities. For example we can help the CLIENT make duty holder appointemnts and monitor the construction phase and or we can help the PRINCIPAL CONTRACTOR form the Construction Phase Plan. The CLIENT has overall responsibility for the successful management of the project and is supported by the PRINCIPAL DESIGNER and PRINCIPAL CONTRACTOR through the phases.